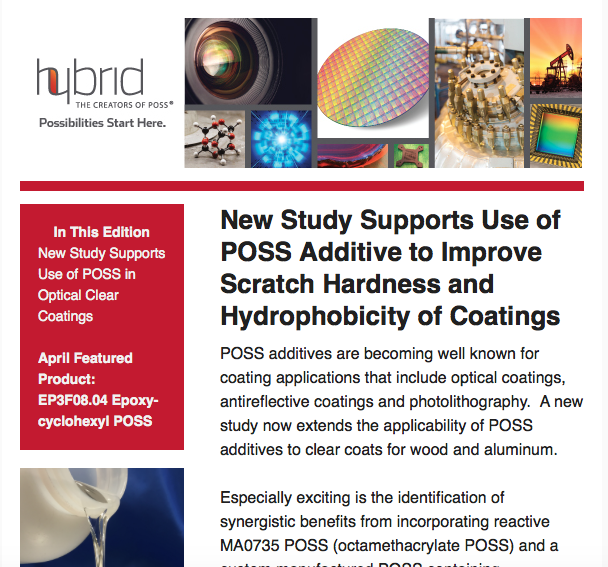 Hybrid’s spring e-newsletter includes findings from a recent study on the use of MA0735 POSS additive to improve scratch hardness and hydrophobicity of coatings. The article was published in the January 29, 2016 issue of the journal Progress in Organic Coatings. April’s featured product is Epoxycyclohexyl POSS, EP3F08.04. To see the April e-newsletter in its entirety, click here.